The Green Man is a 19th century free house located in Partridge Green. The interior of this red brick building has many character features including an open fire. Out the back, there is a large and leafy garden. The bar is well-stocked with traditional British ales but the star attraction at The Green Man is the food. Alongside a menu of regular dishes, they serve a number of daily specials including fresh fish and seafood. Cyclists are more than welcome to come in and dine - there's even a handy rack to park bikes. The Downs Link Trail passes through Partridge Green. It's great for walking, cycling and horse riding. 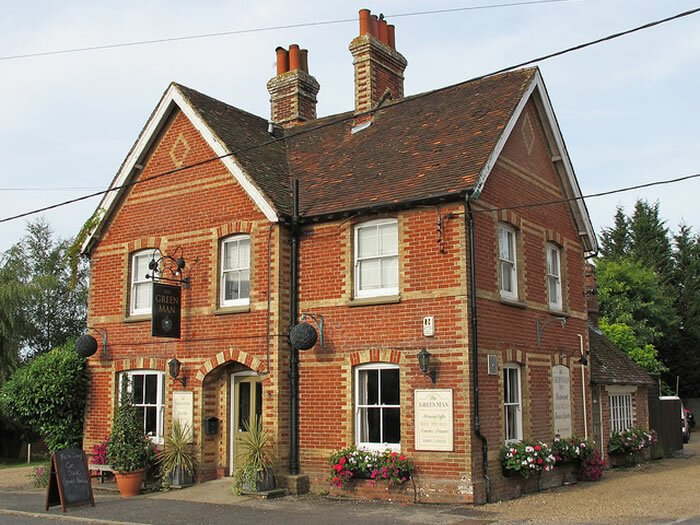 Nearby pubs include the Windmil Inn in Littleworth and the Partridge (just down the road).